Health and Fitness in Jackson Wy. Personal Training, Wellness and Spa. If you are looking for one of the best Fitness centers & spas in Jackson Hole, Wyoming you'll find our mantra of wellness at The White Buffalo Club is not just a matter of having a spa or fitness center. At the White Buffalo Club it is a way of life. The White Buffalo Club offers a full package of services for total body wellness. Massage and body treatments for stress relief and muscle relaxation, as well as personal training in our fitness facility. As one of the best Wellness programs in the valley, The White Buffalo Club offers a complimentary Yoga program that enables the body to stay toned, strong, and flexible. Fitness, Yoga, and massage therapy, The White Buffalo Club Fitness Center respects the advances in modern medical science. We practice an integrated and holistic approach to health through a unique blend of ancient healing traditions and modern fitness techniques. Our professional therapists, instructors, and trainers work with you to pursue a holistic life experience. Not just a spa, but a healing journey for your mind, body, and soul. Membership privileges include discounts for friends and family in any of our deluxe accommodations here at the White Buffalo Club or any of our sister properties. As a member you will receive preferred seating at our USDA Prime Steakhouse, complimentary beignets for dessert, and no corkage fee on personal wine selections. Our 3rd floor Roof Top Terrace, Fireplace Lounge, and Lobby area offer comfort and accessibility 24 hours a day. Stop by the Club to enjoy complimentary coffee each morning from 6:30am to 1pm before heading off to the mountains or workday. The White Buffalo Club provides Complimentary Wellness Classes for its members & non-members alike. Non-Members are welcome to join our highly rated and experienced Instructors in a group structure. We offer professional Yoga & Boot Camp style classes for individuals looking to achieve an enhancement in body and mind. Classes need to be reserved prior to start time, to ensure placement is guaranteed. 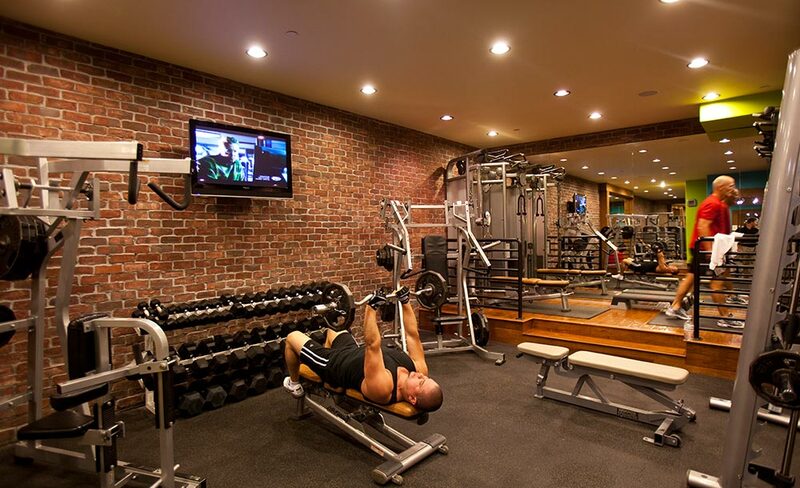 The White Buffalo Club provides Personal Training at the club. Training programs are structured around client needs and are a great way to maximize results from your workouts. We strive to hire only the best professionals in the field, and require all trainers to be certified and insured. The White Buffalo Club offers its members the privilege of reciprocal access to some of the leading private clubs in the country. This means the benefits and privileges you enjoy at The White Buffalo Club are made available to you as you travel to America's great resort and city destinations. Contact Rob Nelson, General Manager of the White Buffalo Club, at 307-734-4900 to make arrangements for your visit to any of our reciprocal partners listed below. Please also inform us if you know of another club that you would like us to consider as a reciprocal partner. The White Buffalo Club provides Complimentary Wellness Classes for its members & non-members alike. Non-Members are welcome to join our highly rated and experienced Instructors in a group structure. We offer professional Yoga & Boot Camp style classes for individuals looking to achieve an enhancement in body and mind. Classes must be reserved by either drop in or purchasing punch card passes. Classes need to be reserved prior to start time, to ensure placement is guaranteed. Rates are based on 1 hour group sessions. It is important to be prompt and on time as to not disrupt class structure. Class availability and space is not guaranteed without advanced reservations. Payment for reserved classes are at time of booking and are nonrefundable. For available class times and descriptions, please see monthly schedule. To reserve placement in a class, please contact our front desk at 307-734-4900. Punch Cards are transferrable and can be used to book friends, family, or guests of holder. *minimum of $105 is required to reserve private studio. Rates are per hour and do not include gratuities. Group sessions of 3 or more require private studio reservations. Private studio use is based on availability. Group trainings of 4 or more are required to reserve private studio. Please call for available times and to find out more about our training program. Trainer bios and descriptions are posted for your convenience at the Club for review. There is a one-time non-refundable enrollment fee of $25 for all Single Memberships and $50 for all Couple Memberships. 6-month and 12-month memberships cannot be cancelled early. Month-to-Month memberships may be cancelled at any time prior to the 1st day of the following month. An official cancellation form must be filled out upon cancellation. 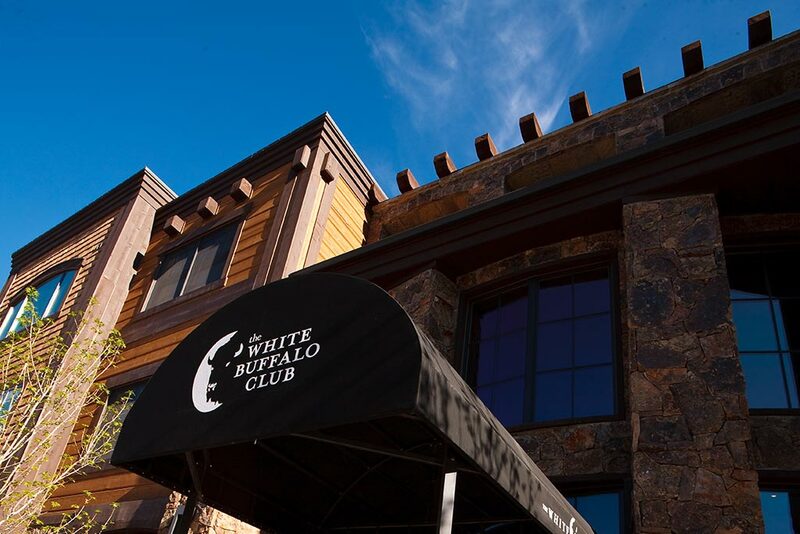 The White Buffalo Club offers joint memberships at a discounted rate. A joint membership requires that the 2 prospective members have only 1 form of payment. Guests are welcome and encouraged at The White Buffalo Club! Guest passes are available to nonmembers for $14.00 for a single day use. This gives them unrestricted access to the club for that day. Guests are required to check in at the front desk. Guest fees are not intended to be a substitute for membership. Guests are expected to abide by the published rules and policies of the club. For guests that are in town for a limited time, or do not plan on using the facility frequently we offer 5 punch cards for $60, and 10 punch cards for $100.